Flora's Awakening, graduates of the Vaganova Academy. By decree dated May 4, 1783, Empress Anna of the Russian Empire issued a decree establishing the first Imperial Theatre School in Saint Petersburg. 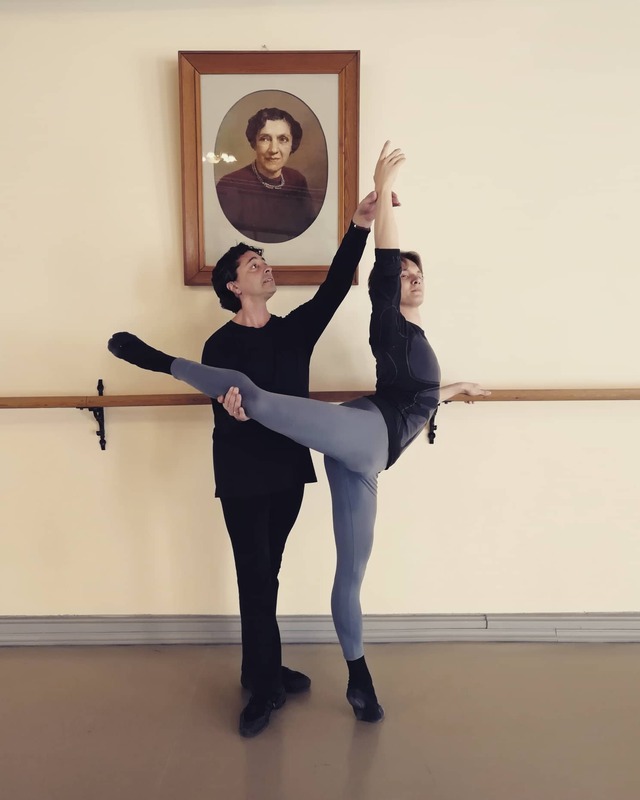 This year marks the 280th anniversary of the Vaganova Academy, the very school that has trained top names in Russian and international ballet for centuries. The Academy devoted its annual graduation performances this month to the season-long celebration of what would have been the 200th birthday of Marius Petipa, offering a mainly Petipa-based program performed entirely by students with several former graduates. An excerpt from Flora's Awakening opened the bill, featuring the same cast on the first two performances. Alexandra Khiteyeva, a compact blonde with lovely port de bras, a student of Sitnikova who still has one year left at the Academy, danced the role of Flore with fluid grace and demonstrative expression. With fully crossed bourrés and careful footwork, she stood out among the four ladies for her level of polish, notably in the emboîté/pas de chat sequence, the control she used coming out of pirouettes in attitude, and later with dynamic fouettés. Yulia Spiridonova, blessed with delicate arms, made nice use of her head positions as Aurore. Svetlana Aaveilieva performed the toe-tapping variation as Diana, and Maria Bulanova, a dark-haired powerhouse who shines in allegro movements, danced Hebe with tireless energy and clear attack. The choreography for the piece was listed as Burlaka after Khlyustin circa 2014. Alexandra Khiteyeva as Flore. Photo by Natasha Razina. La Naiade et le Pêcheur came next, with choreography by Petipa and Perrot but revised by Tsiskaridze. The movements here recalled Bournonville steps more than anything Petipa, with a focus on jumps for the men, and hops on pointe for the women. On 12 June, Ervin Zagidullin, a pupil of Fethon Miozzi, performed the role of Matteo alongside Maris Petukhova's Giannina. Zagidullin is a compact young man who recalls Baryshnikov in his ease of delivery: he carries out clean double cabrioles and double saut de basques with smooth control. Tight double tours landing in second position are plentiful in his variation, and his boyish charm easily won over the audience. Petukhova, an enchanting soubrette, danced her variation with precision, completing the piqué turns with appropriate sharpness. The second night, Anastasia Nuikina took her place, and Marko Yuusela, a student from Finland, took the leading role. Yuusela, a much taller young man, managed high extensions in his jumps and long lines throughout, but less precision in landing his tours. Fethon Miozzi teaching Ervin Zagidullin at the Academy's studios. Leading this year's graduating group, Maria Khoreva danced the lead in Tsiskaridze's version of Petipa's La Gioconda alongside Michael Barjijia the first night and Marko Yuusela the second. Khoreva, a dark-haired, slim girl, has enviable extensions and feet similar to those of Svetlana Zakharova, a small head, and the precision and timing of Tereshkina; an attitude in promenade at the hands of her partner carves a wide line in space that then stretches into arabesque penché. Meticulous turns from fifth completed her coda. Maria Khoreva with Michael Barjija in La Giaconda. Photo: Natasha Razina. Maria Khoreva in Suite en Blanc. Photo Natasha Razina. The sole exception to the Petipa focus came in Serge Lifar's Suite en Blanc, a challenging work that, as rector of the Academy Nikolai Tsiskardize noted, is rarely performed even by leading ballet troupes due to its difficulty. Khoreva reappeared in this piece in the Adagio alongside Rustam Asisov and in the Flute variation the first night. She easily hits 180-degree penchés, and uses appropriate épaulment throughout, yet her fingers seem to never quite resemble Vaganova hand positions. With age and added nuance, her future seems quite promising. Maria Bulanova danced the serenade solo with determined attack, and Alexndra Khiteyeva danced the Cigarette solo with flirtatious glances to the audience. On the second night the opening "sieste" included the tall, blonde Anastasia Demidova, who emits a warm, if understated presence without the bravura of egotism, but with tender gestures, especially in her port de bras. While not granted any leading roles, her lines and temperament were as captivating as some of the others. Many of the dancers repeated roles in Suite, and again in Paquita, which completed the evening. Paquita completed the program, featuring Viktoria Tereshkina with Konstantin Zverev in the leading roles on the first night, Ekaterina Kondaurova alongside Andrey Ermakov on the second night. These four Mariinsky professionals demonstrated faultless delivery. Tereshkina's exactitude and glowing manner always proves inviting. Kondaurova dances a nobler, more regal role, equally appealing but with a different focus. Both ballerinas displayed the polished results of true Vaganova training. Following the parade of younger children in the lovely polonaise that precedes the Grand Pas, eight ladies danced variations. In the third variation, Maria Khoreva danced a solid set of challenging piqué turns ending in attitude to plie-arabesque, and en dehors turns into fouettes. Alexandra Khiteyeva also stood out in her variation to music by Minkus, in which a series of steely ballonés (stopping en pointe each time to shift her arm positions on and off her hips) drew significant applause from the audience and underscored her technical skills. This year's graduating class offers a handful of talented dancers who are sure to be successful in their future careers. It is said that both Makhar Vasiev and Yuri Fateyev offered the best students places in their respective companies. It remains to be seen which troupe will prove more popular. The coming season, just a few months away, should tell us more about the future possibilities for these dancers, all of whom deserve congratulations and praise for entering the world of professional dance.